A ruined city of the future lives in fear of a despotic, gigantic flying bear, driven mad by the tortures inflicted on him by the Company, a mysterious biotech firm. A scavenger, Rachel, finds a creature entangled in his fur. She names it Borne. At first Borne looks like nothing at all - a green lump that might be a discard from the Company. But he reminds Rachel of her homeland, an island nation long lost to rising seas. 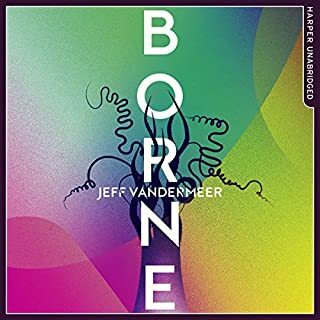 I really enjoyed Borne. If you like weird and wonderful Sci Fi then this is for you.